The richest director all over the globe, George Lucas is known to movie lovers by his iconic franchises. The sci-fi saga “Star Wars” and adventure movies about Indiana Jones have brought George Lucas the world’s fame. After “Star Wars” appeared on the big screen, the director’s name is associated with the saga’s characters: the Jedi, the Sith, Ewoks. George Lucas has created the whole universe living by its laws. However, the director, scriptwriter, and producer has also a wide range of other sci-fi projects to be noticed. The future master of fantastic bestsellers was born in Modesto, the heart of California. Th American cinematography star’s parents had nothing to do with the world of movies: the mother was a housekeeper, and the father was a stationery store owner. George was fond of engineering in his childhood and youth: the boy was soldering, twisting, and making things in order to invent a new machine or equipment. Looking ahead, Lucas personified himself when he was young in the “star” character Anakin Skywalker. 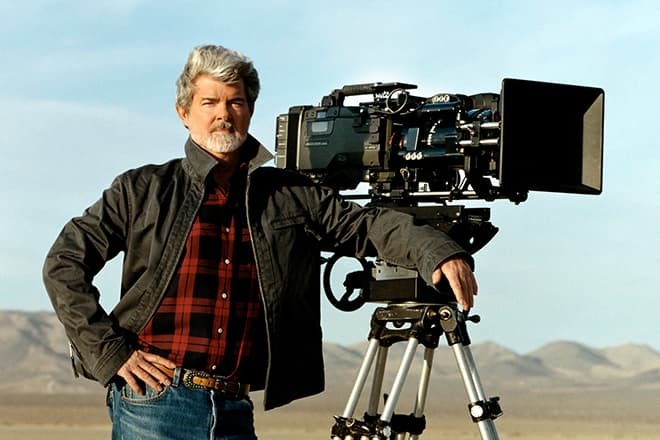 As a teenager, George Lucas did not dream of cinematography – the guy was fascinated by motorsport and races and wanted to devote his life to a high-speed circuit. Young George used to spend his spare time driving in a trade center underground. However, he had a terrible accident and hardly survived: the young sportsman’s car was pierced by another car. The numerous traumas and closeness of death discouraged him to drive at a high speed. Trying to find himself, George Lucas went to a local college and studied anthropology, sociology, and literature. 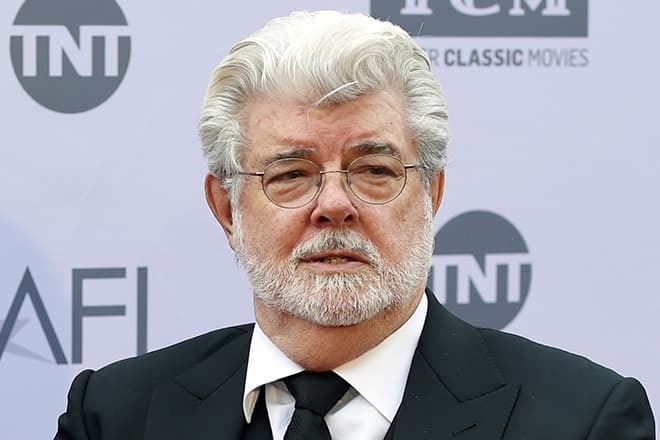 At this time, Lucas got interested in movies and entered the University of Southern California to study cinematography; in 1967, he received the diploma. George Lucas’s movie biography started when he was a student: the beginning director created a documentary short-length movie “1:42.08: A Man and His Car” about a racing driver Peter Broc. The plot was inspired by Lucas’s fondness of races. Another documentary movie “Freiheit” (“Freedom”) was a short-length movie about a student from the German Democratic Republic. The director had his first success when he presented the 15-minutes-long movie “Electronic Labyrinth: THX 1138 4EB.” This work brought the creator the National Student Film Festival Award and Warner Brothers grant. The company gave the opportunity to participate in the creation of a chosen project. George Lucas selected Francis Ford Coppola’s movie “Finian's Rainbow.” Thus, the beginning director met the legend of the Hollywood movie industry. The collaboration with Coppola continued in 1971 when Lucas took up his debut full-length project “THX 1138” based on his own award-winning short-length movie. The master produced the antiutopian drama by his young colleague, yet the cooperation did not succeed in terms of the benefit: the movie’s grosses came to $2 million which was little for Hollywood. Still, “THX 1138” became an iconic movie in the course of time. Next year, George Lucas became a co-director and assistant to movie editor in Coppola’s iconic drama “The Godfather.” This work gave him a chance to polish his skills and adopt the master’s best practices. Following the famous director’s recommendations, George Lucas created his next movie and aimed at the commercial success. 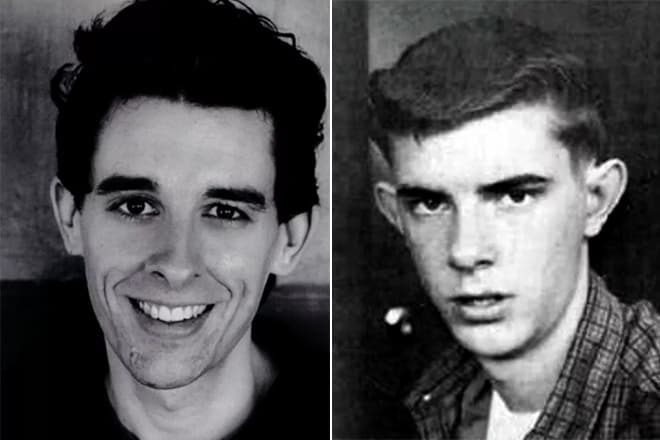 The script to the comedy “American Graffiti” was written by George Lucas, Willard Huyck, and Gloria Katz. It was a light, comprehensible movie in which the director interpreted some events of his own life. The director entrusted the leading parts to the Academic Award winners Richard Dreyfuss, Ron Howard, and Charles Martin Smith. The beginning actor Harrison Ford took a secondary role; the project became a road-opener for his star career. 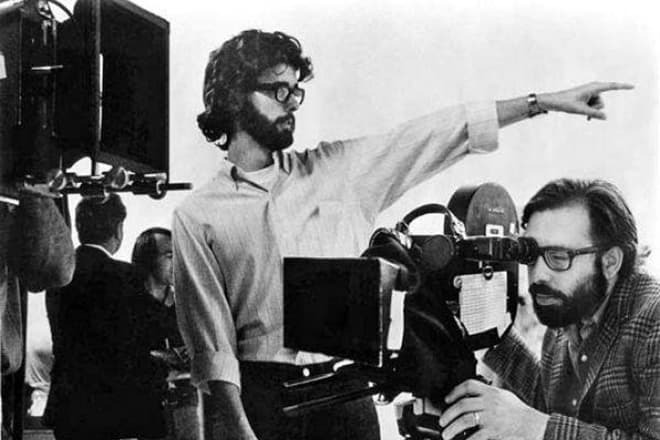 Francis Ford Coppola became the producer of “American Graffiti.” At this time, George Lucas tasted the glory to the full extent: the comedy was an overwhelming success among viewers and movie critics. With the $775 thousand budget, it managed to gross $115 million. George Lucas’s creation was nominated for 5 Academic Awards and received two Golden Globe Awards and the Bronze Leopard Award. In 1977, George Lucas was on a winning streak again with his space opera “Star Wars: Episode IV - A New Hope.” Lucas worked on the project as a director, scriptwriter, and executive producer. The movie editing and musical arrangement were also under his control. Mark Hamill, Harrison Ford, and Carrie Fisher were entrusted the main roles. 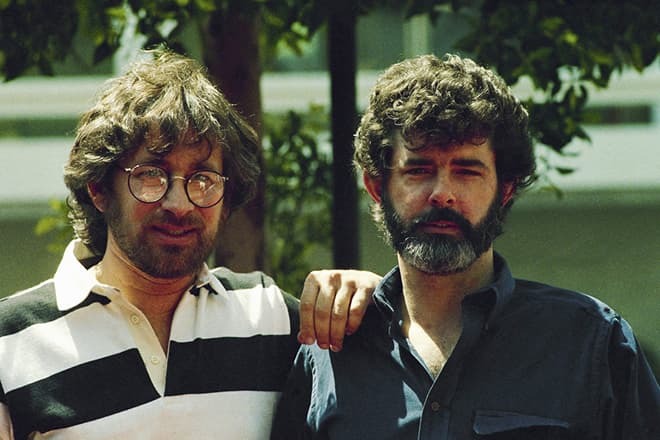 In 1981, George Lucas was the plot author and producer in the adventure movie “Indiana Jones and the Raiders of the Lost Ark” created by Stephen Spielberg. Harrison Ford took the leading part there. George Lucas became a Hollywood legend after “Star Wars.” For the next 20 years, he did not work as a director. In the late 1970s, he wrote a script for the fifth episode of the star saga and was also its producer. In the mid-1980s, the producer two Indiana Jones movies and wrote a script for the sixth Star Wars episode. 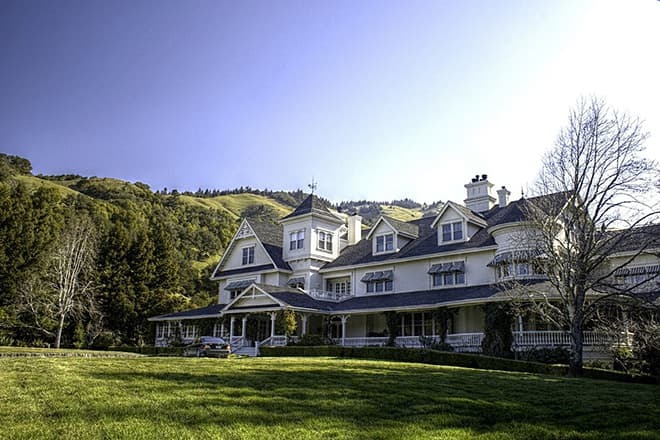 At this time, George Lucas built “Skywalker Ranch” that became a sort of the Hollywood Silicon Valley. Creative, technical, and administrative assets of the movie company founded by George settled there. They worked on projects created by the ranch founder and other directors. In the 1980s, George Lucas was the producer of the animated series “Star Wars: Droids” and “Star Wars: Ewoks.” As Coppola offered, Lucas became the producer of his musical space movie “Captain EO”; two years later, he wrote the script and produced the biographical drama “Tucker: The Man and His Dream” by Francis Ford Coppola. In 1992, George Lucas published the trilogy “Star Wars.” The books have become bestsellers and sell out with recording numbers of copies. In the late 1990s, the master pleased the fans with the news regarding “Star Wars” prequels. The new episodes came out in 1999, 2002, and 2005. “Star Wars: Episode III – Revenge of the Sith” grossed $50 million in the first day of the movie release. In 2008, Indiana Jones’s fans watched the character’s new adventures in the movie “Indiana Jones and the Kingdom of the Crystal Skull.” George Lucas was the author of the plot and producer. In 2015, the premiere of the 7th Star Wars movie – “The Force Awakens” by J.J. Abrams took place. 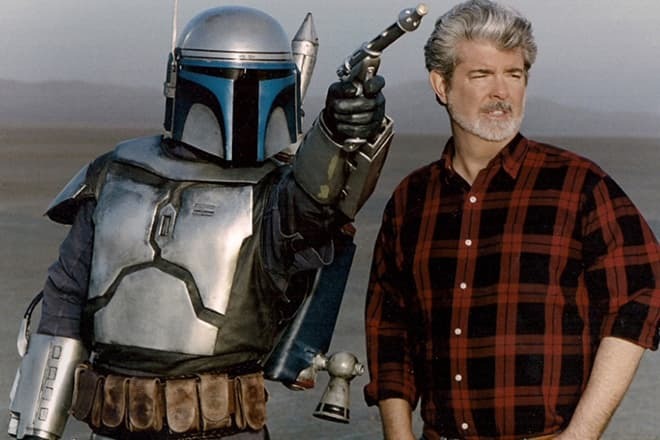 George Lucas was the consultant of the project. In December 2016, 60-year-old Carrie Fisher, the bright star of the space saga who played Princess Leia, passed away. 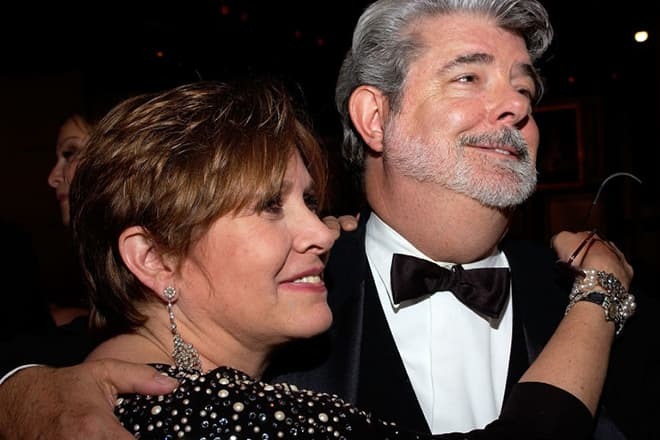 George Lucas said that Carrie and he were friends for the major part of his adult life. “We'll all miss her,” Lucas added. According to Forbes, George Lucas’s fortune is $4.9 billion. The director placed 295 in the list of the richest persons in America. In 2014 Forbes rating, he became one of the top three influential stars of the world. Marcia Lou Griffin was the first wife of the master: the director met her when the debut episode of the space saga was being created. Maricia and George’s marriage lasted for 14 years. In the 1980s, the couple adopted a girl named Amanda. Two years later, they split up; the daughter stayed with the father. In 2013, the producer announced his engagement to the American business lady Mellody Hobson whom he had met 7 years earlier. In summer, George and Mellody married; two months later, their daughter Everest was born. Two prequels – “Star Wars: Underworld” and “Star Wars Detours” – are announced in 2018. George Lucas is the creator and the executive producer of both series.